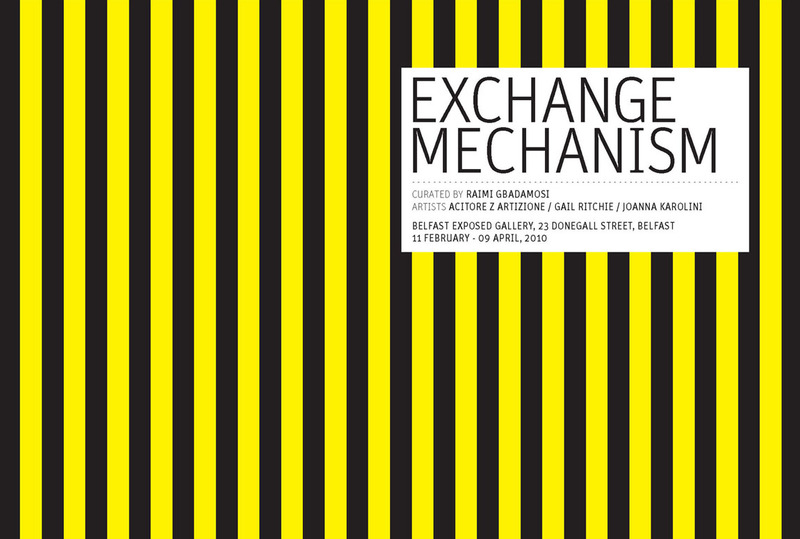 Tomorrow’sThoughtsToday’s Darryl Chen will be speaking at the Belfast Exposed Gallery as part of their Exchange Mechanism programme. Raimi Gbadamosi is curating the progressive gallery’s latest “installation” effectively transforming the gallery space into “free public space in which the only currency is knowledge, imagination and the exchange of ideas”. Darryl will be speaking at “The Spaces In Between: resolving conflict through urban design” addressing the issues of risk, liberty and control in relation to our public space and life. The entire programme of events can be downloaded here.